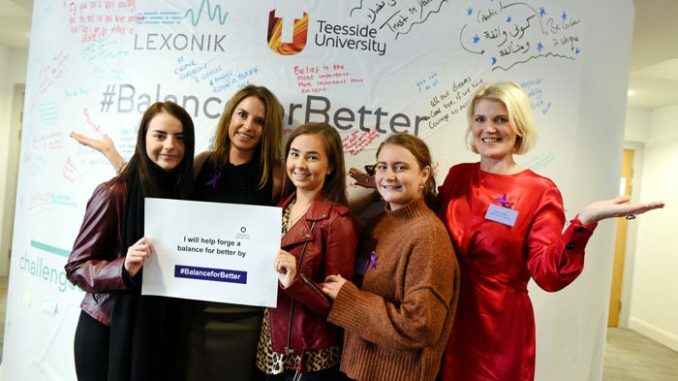 Teenagers from across the Tees Valley visited Teesside University to be empowered and enthused about their futures as part of the International Women’s Day celebrations. 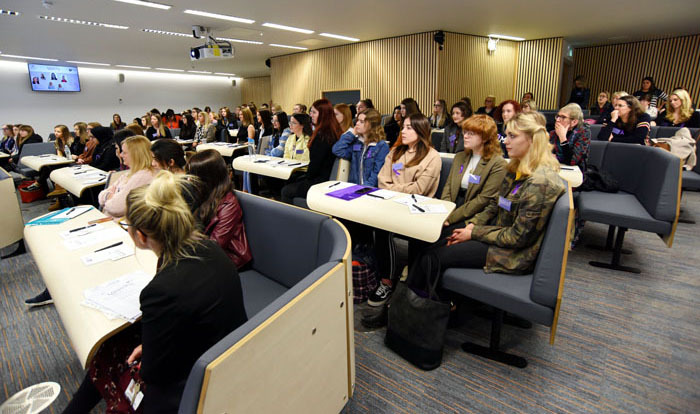 Scores of girls from local schools and colleges came to the University to hear inspirational stories from female business leaders and take part in workshops aimed at building confidence and resilience. 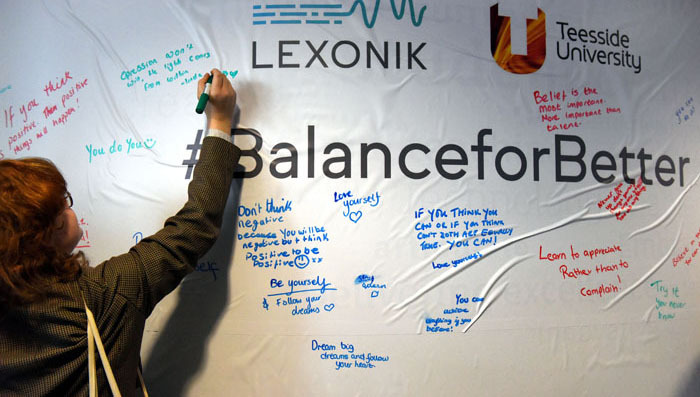 There was also a graffiti wall where people were encouraged to capture their thoughts, feelings and aspirations, as well as a singing workshop and dance performances as part of the day. 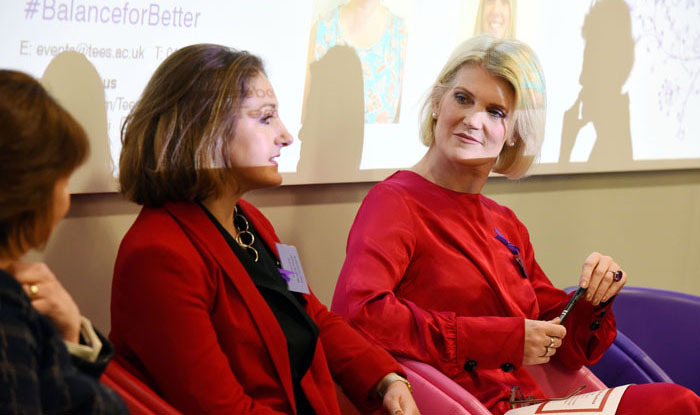 International Women’s Day is a global event and the theme for 2019 was Balance for Better. Claire Preston, winner of the inaugural Tees Businesswoman of the Year awards in 2018, told Tees Business: “International Women’s Day is important because it highlights and celebrates women’s challenges and successes. “It raises diversity and equality on the agenda internationally, and gives a voice to women collectively. Tees Components managing director Sharon Lane – a runner-up in the Tees Businesswoman of the Year category – said: “It gives us an opportunity to spend some time with young women like we have today and making sure this is the next generation of women knowing they can do whatever they want to do, and hopefully seeing some role models and mentors to help them along the way. “When we were starting out, we didn’t really have those role models. They were probably there, but there weren’t events like this to showcase them. Jessica Williams, managing director of Stockton-based Just Williams, winner of the Best Newcomer award at the Tees Businesswomen Awards last year, said: “It’s really important that we’re not limited by our own beliefs. “As part of International Women’s Day, I ran a session on being creative, curious and courageous as a female, as an employee, a business owner or whatever you might be in whatever sector, and it’s just important that we encourage our young women they can do whatever their set their mind to do. Caroline Theobald CBE, chair of FIRST, hosted the event at Teesside University. She said: “We had the most fantastic input from lots of very senior women in the Tees Valley, who’ve all showed themselves as role models for these young women. “If young people don’t think there are opportunities women in, for example, the port industry, construction, the legal profession, they’re not going to go there. 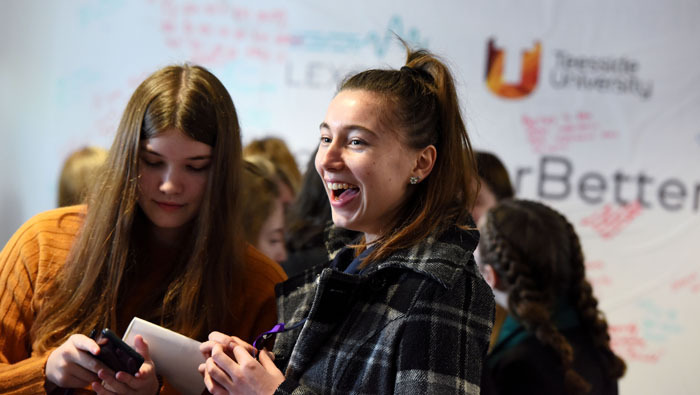 Following on from International Women’s Day, Teesside University will also hold its annual Hello World conference on April 24. It is designed to encourage girls to be excited about using computers and the career opportunities they bring. The annual event sees girls from schools across the region gather at the University to engage with all aspects of computer science.